What are the different types of running gear available and what are the hot favourites? Today, let’s look at adidas running gear. 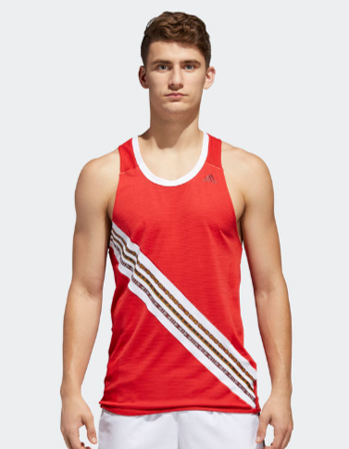 adidas is one of the biggest sportswear companies in the world, and they specialise in excellent sportswear with their Climachill and Climalite fabric technology to ensure that sportsmen can excel when they are wearing adidas. If you are looking for a fashionable tank top inspired by the raw spirit and style of east African, look no more! The Pharrell HU collection celebrates the hues of humanity, and the design is reminiscent of both classic styled adidas with the 3 stripes and also has the East African vibe. It boasts Iridescent reflective details that burst into colour in low light. Running Jackets are popular as they keep you at the right temperature. Before a match or a game, professional athletes will usually do a series of quick exercises to warm up and then keep their muscles warm by wearing a jacket. The adidas ZNE jacket is made of water repellent ripstop material for protection from the wind and the rain. It is quick drying and has all around reflectivity. 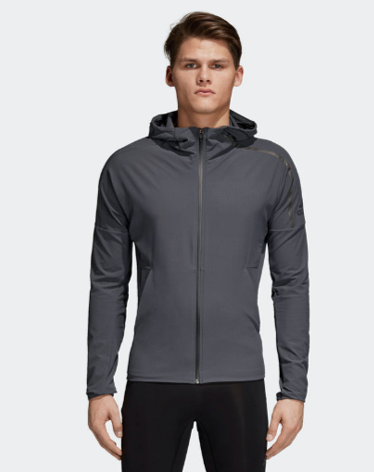 This jacket is ideal for running at dark, in windy days, or days with unpredictable weather. Its water repellent coating even helps to shed snow, and is the ultimate travelling running jacket. 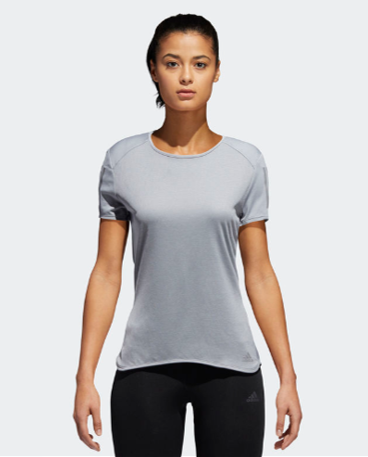 The adidas Response Tee is the staple running tee that all runners should have in their wardrobe. It is fuss free, flattering, easy to wear and has a shaped front for a polished look. Its ClimaLite fabric technology and moisture wicking properties help to keep runners dry and fresh and is made with recycled polyester to reduce emissions. This design is also popular with corporates as it comes in both male and female versions, is functional and trendy, with an affordable price tag. You can purchase this at Ark Industries, Singapore’s leading adidas corporate distributor. The adidas 2 in 1 UV tee is the new trend in adidas’s product line up! 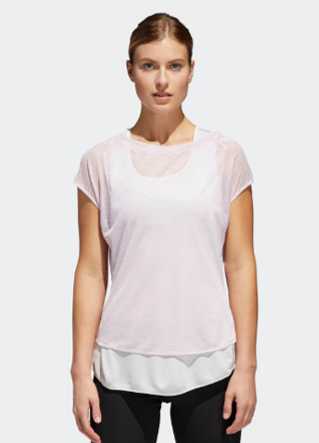 It consists of an outer tee and inner tank top, and the clothes with Climalite as well UV protection, making this a suitable sportswear for ladies who are thinking of exercising during the daytime. UV rays causes both darkening and aging of skin, and that it why it is important to wear UV clothes as an additional protection against the sun. Layered clothes are also fashionable and create an interesting change from the usual fuss free adidas running tees. No matter what your preference for running gear is, adidas has a full range of running gear to help you perform at your best! All featured sportswear available at adidas singapore official website and stores. Selected sportswear available at Ark Industries. At Ark Industries, we are able to help customise your running gear to include your company logo, etc. Call us today at +6352 0988 for a discussion.